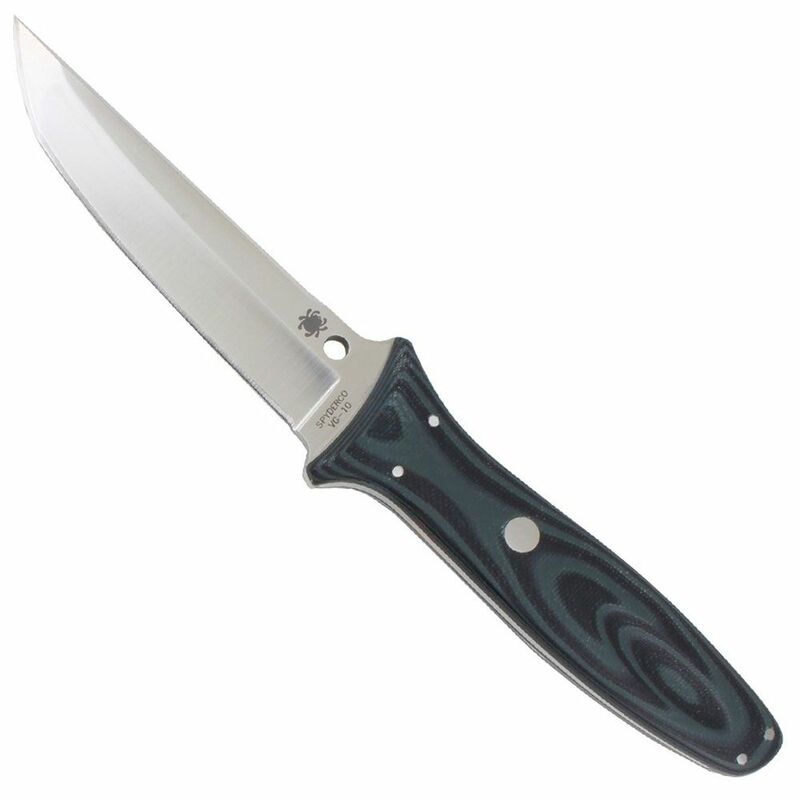 Spyderco’s Lum Tanto fixed blade is also a synthesis of classic Japanese style and modern Western knifemaking methods. One of Spyderco’s earliest fixed-blade designs, its hybrid blade shape combines a hamaguri (Appleseed) grind at the point, hollow-ground primary bevels, and a spine swedge. The traditional tsuba (guard) is replaced by an integral double guard that provides excellent hand protection without interrupting the sleek lines of the design. To ensure superior strength and exceptional balance, the handle has a full, tapered tang –- a rare feature on a production knife.